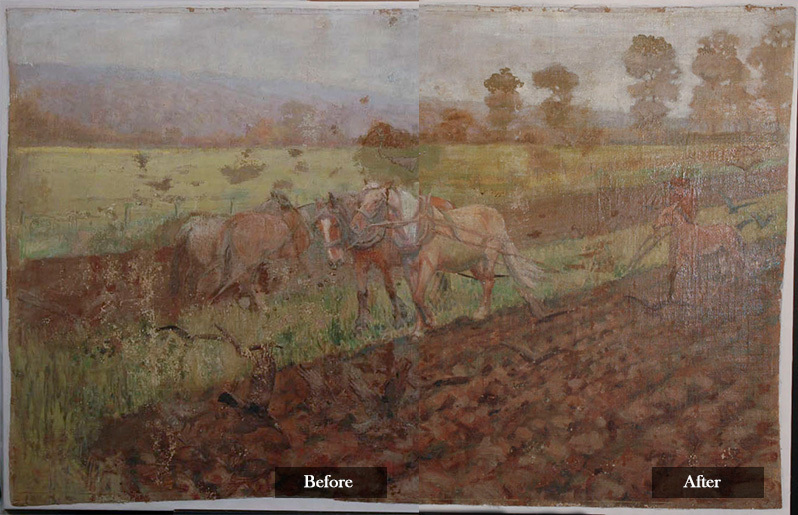 Lis Art Conservation specializes in the repair, restoration and conservation of artwork. 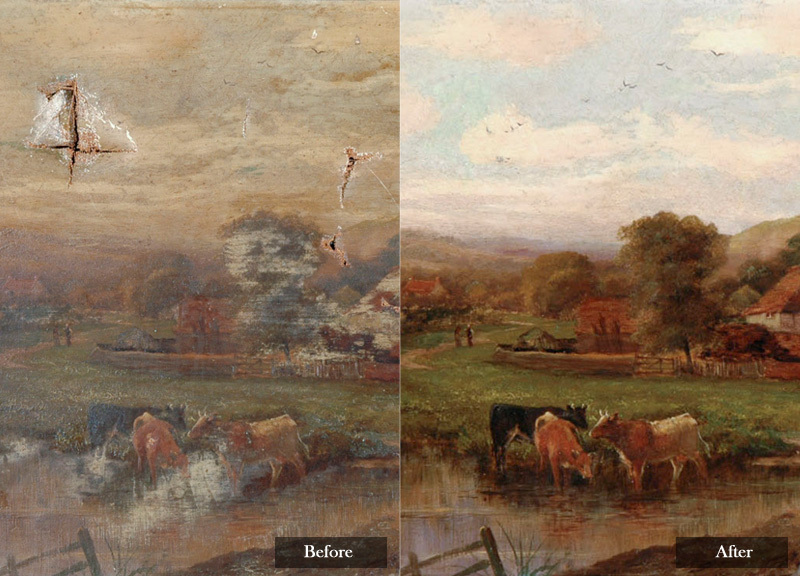 Our Michigan-based art repair services primarily focus on the intricate restoration of a wide range of paintings. We also restore frames, paper-based materials and a variety of other objects. Our company is owned by one of Michigan’s leading art conservators, Jennifer Lis. Jennifer brings 11 years of experience and talent to Lis Art Conservation. Before starting the company, Jennifer worked for Mackinac State Historic Parks (MSHP) as the conservator of collections and was responsible for several large projects, including the restoration of a 125-year-old painting of Arch Rock on Mackinac Island. She was also responsible for the restoration of dozens of objects, photographs, ephemera, paintings and drawings for the Richard and Jane Manoogian Mackinac Art Museum. Jennifer earned her Master of Art Conservation degree from Queen’s University in Kingston, Ontario. She also graduated with honors from the University of Notre Dame with a Bachelor of Fine Arts Degree, where she majored in Art History and Fine Arts. After college, Jennifer completed a paintings fellowship at the Intermuseum Conservation Association in Cleveland, Ohio where she honed her skills as a conservator. Jennifer has been awarded the designation Professional Associate by the American Institute of Conservation, a national membership organization of conservation professionals. 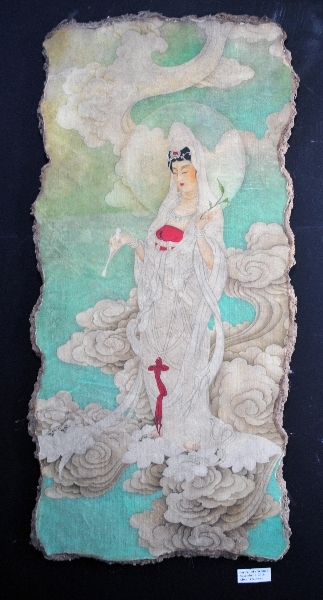 Art restoration is our passion. Our conservation philosophy is to perform the minimum amount of treatment required to stabilize and restore aesthetic qualities of your artwork and ensure its longevity. We treat all pieces of art with respect, whether of museum-quality or a piece with sentimental value to you and your family. And our exams and consultations are free of charge. Contact Lis Art Conservation today to learn how we can help revitalize your artwork, improve its aesthetic qualities and preserve it for future generations.